The Crafty Crow on Friar Lane in sight of Nottingham Castle is one of the newer pubs on the Real Ale and Craft Beer scene in Nottingham. 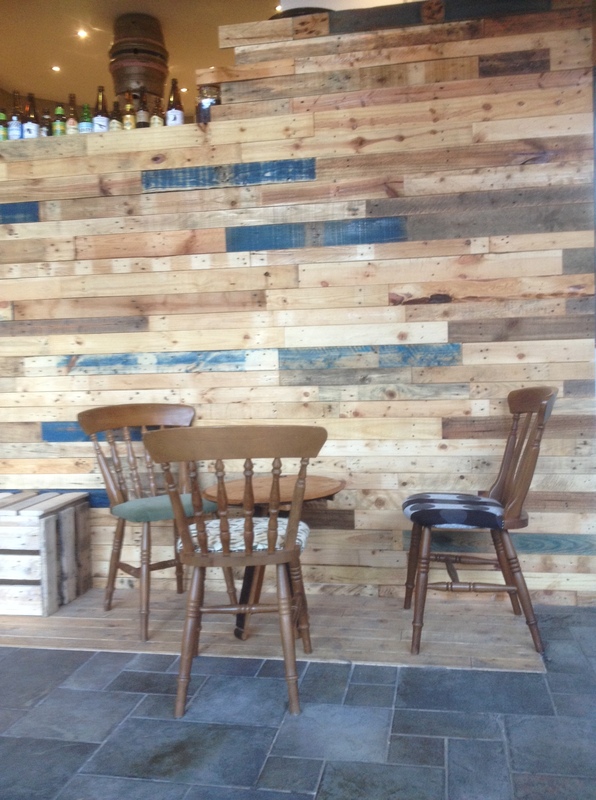 We have been in for a beer on a few occasions over the last couple of weeks and it is fair to say that they have a decent selection of real ales and some good craft beers and lagers as well. The Crafty Crow is actually a tap house for Magpie Brewery but on first inspection of their beer range you would be forgiven if you thought that it was just a free house as I have never seen more than a couple of their 10 hand pull taps housing Magpie’s Beer. Other featured breweries we have seen have been Magic rock, Tiny Rebel, and Brewsters. I did read on their website that in the first week alone they had 18 different beers, this is excellent news for those of us who like a decent amount of variety in our world of beer. Inside the Crafty Crow they have made use of what I would call ‘recycling lots of old stuff. 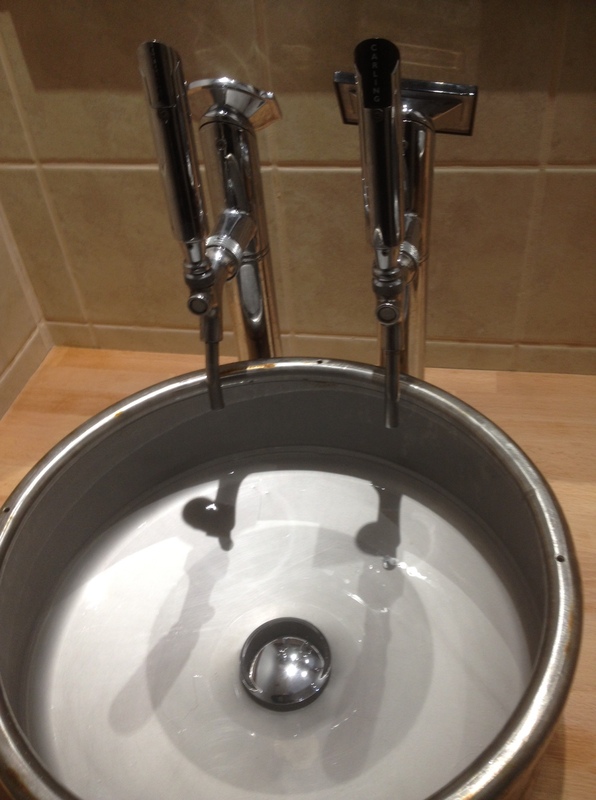 I believe that more popular term these days is upcycling. In my day that meant riding your bike up a steep hill, I always preferred the ‘freewheeling’ back down the hill, even that term can be interpreted differently as being ‘not concerned with rules, conventions, or the consequences of one’s actions.’ That is something I often contemplate when wondering if I should have a glass of red wine after I have had several pints of Castle Rock Harvest Pale. This past Friday we finally managed to get in early enough to try out some of the food that they have on offer. The first time we tried on opening weekend we were too late on the Friday (they stop food at 7pm) and at the second attempt on the Saturday after the football they had sold out of most of the items. This night though I checked that they had food before we settled in with some beers. 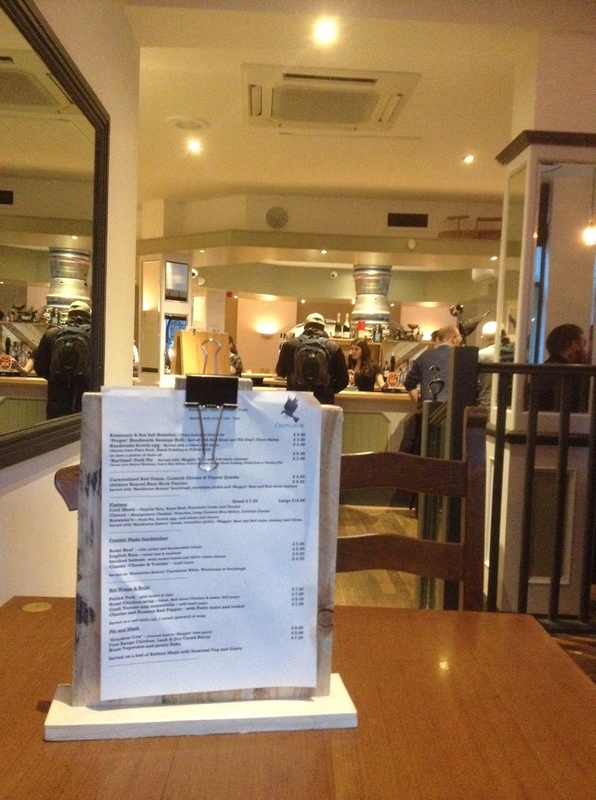 While we looked through the menu we were supping down on a pint of Helles Lager from Brewsters Brewery. It is a lager but not quite, more of an American lager, crisp, not too gassy and quite drinkable. 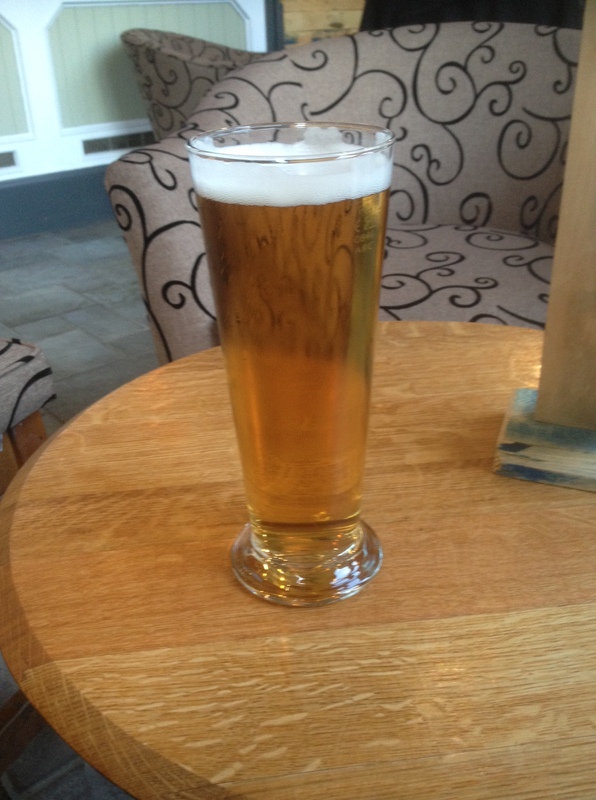 It was a lager that did not make me feel ashamed for drinking fizzy alcoholic water. 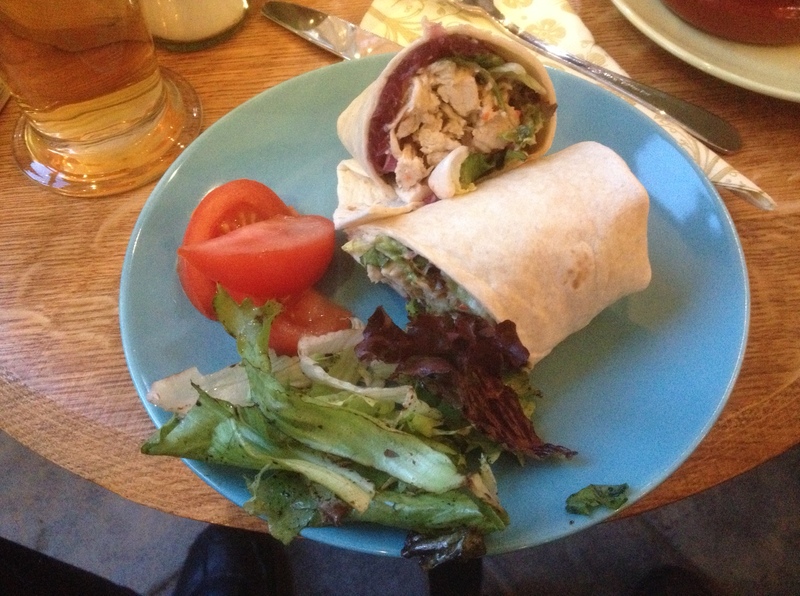 My companion went for one of the Hot Wraps opting for the Roast Chicken Wrap which was described as coming with Salad, Red Onion Chutney and Sweet Chilli Mayo. The verdict was that is was quite tasty but a bit small, for the £7.50 price point he was hoping for a better sized portion. On another day I would have taken a more obvious choice and had one of the pies with mash, or a belly pork wrap, but today instead somewhat unintentionally I went for a vegetarian option by ordering the “Caramelized Red Onion, Colwick Cheese & Thyme Quiche” for £4.50 and a portion of “Rosemary & Sea Salt Roasties” for £3.00. I went for that just to try something using the ever popular local Colwick cheese. 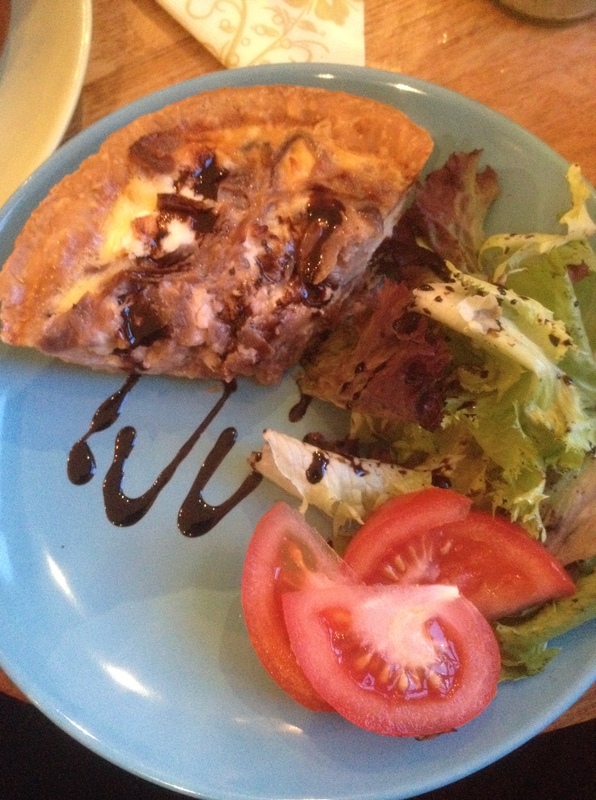 The Quiche was tasty but I would have preferred a whole round individual tartlet as opposed to a slice. The empty quarter of the plate covered with a drizzle of balsamic vinegar was the perfect location for an additional bit of quiche. 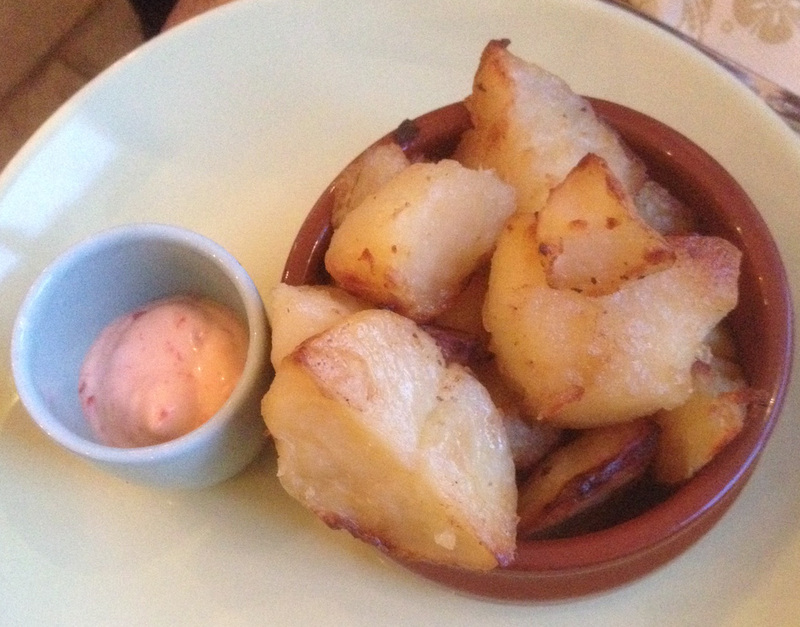 The ‘Roasties’ sounded fantastic on paper, in reality it was basically just a simple bowl of Roasted Potatoes, I must say though that they were better than just a dish of chips. They were accompanied by some sort of mildly spicy mayo to dip them into that was a nice addition if somewhat off kilter with the menu description. Maybe we didn’t choose the right things from the menu. The prose of the menu itself makes everything sound quite amazing, it was promising us food that was ‘Handmade – Local – Artisan – Fresh’ from the “Real Food Kitchen“. In some ways I should have known what to choose as both the Hartland Pies and the Handmade Scotch eggs were safe reliable and top notch items on the menu. Add to that the two ‘Pie and Mash’ options of the “Drunken Cow” -‘braised beer in ‘Magpie’ beer gravy’ or “Free Range Chicken, Leek & Dry Cured Bacon” should be no-brainers and I understand all of those have been very popular so far. 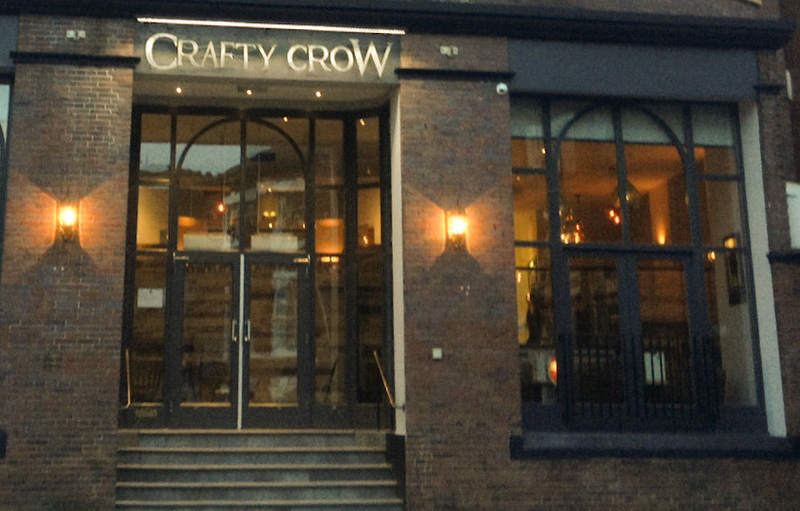 I have to say that I do like the concept of the Crafty Crow, they do have a lot of beers on offer, and they have recognised the distinction between the Real Ale drinkers and the Craft Beer drinkers. The menu has a lot of promise in terms of the way that it is written and I am hopeful that as they grow that the food on the menu will reach it’s potential. 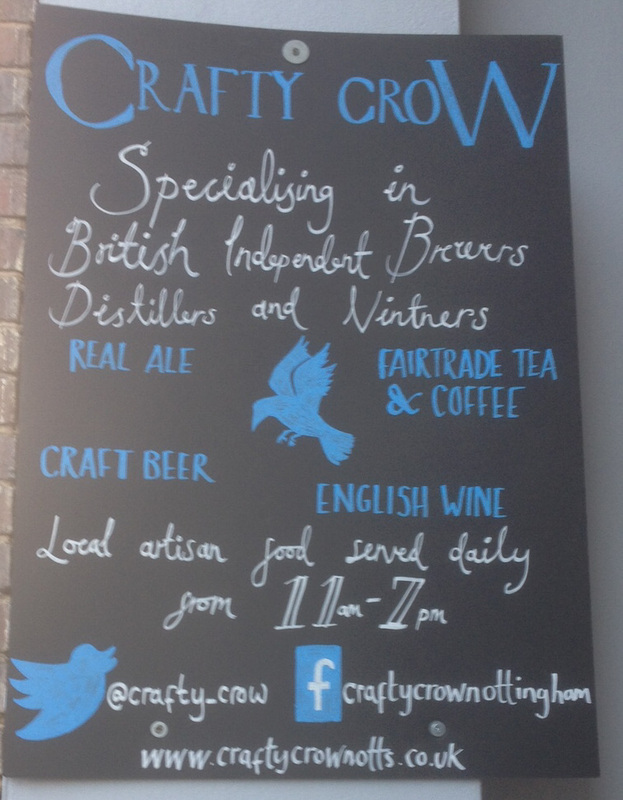 The Crafty Crow is located at 102 Friar Lane about a 5 minute walk from the Old Market Square Tram Stop. you can follow them on their Twitter Feed and see what they are up to on their Facebook page. Hmm – they stop serving food at 7pm? Seems a bit mental! yeh that’s what we thought too.